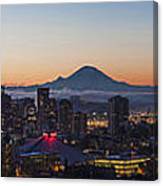 Seattle Morning Glow is a photograph by Mike Reid which was uploaded on January 20th, 2013. 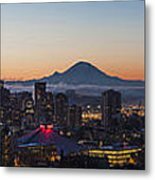 Wide panorama shot of the Seattle skyline at sunrise from Queen Anne Hill. Congratulations on your sale. Such a beautiful image. The light in this is exquisite! 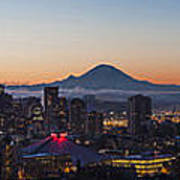 Great capture of the Emerald City! Congrats on your sale!